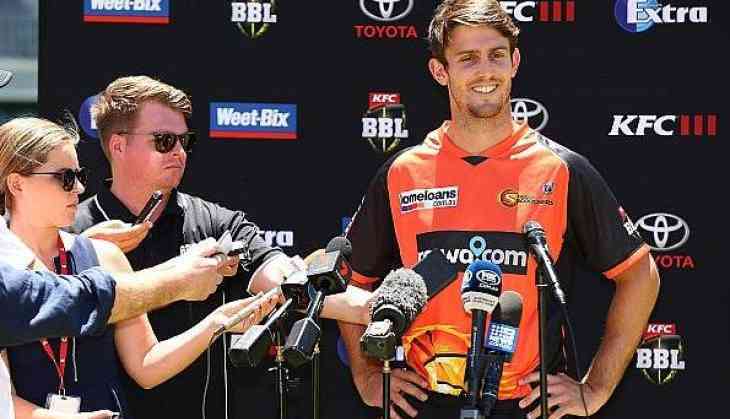 Australian bowler Mitchell Marsh has been appointed as the captain of the Perth Scorchers for the upcoming Big Bash League (BBL). The 26-year-old has replaced Adam Voges, who retired from the position to assume the role of the team's head coach. Reflecting on his appointment, Marsh said that it is a great honour to lead the Scorchers and he is looking forward to work alongside Voges for a successful campaign ahead. "It's a great honour to be able to lead any WA team. We've had great success with this side and to be given the opportunity to captain the Scorchers again is really exciting. It's important we build on last year's efforts, BBL|07 didn't finish the way we would've liked after finishing on top of the ladder," Perth Scorchers' official website quoted Marsh as saying. Marsh continued, "I'm looking forward to working alongside Vogesy. If we continue to work hard and look after our mates I'm sure we will continue to have success as a team and an organisation." Perth Scorchers are slated to begin their campaign at the Big Bash League against Melbourne Renegades on December 20. वंदे मातरम्: जानिए 'राष्ट्रवादी रचनाकार' के राष्ट्रगीत से मुस्लिमों को एतराज क्यों?